Fargo 3D Printing provides 3D printer sales, service, support, and education to businesses, educational institutions, and individuals. 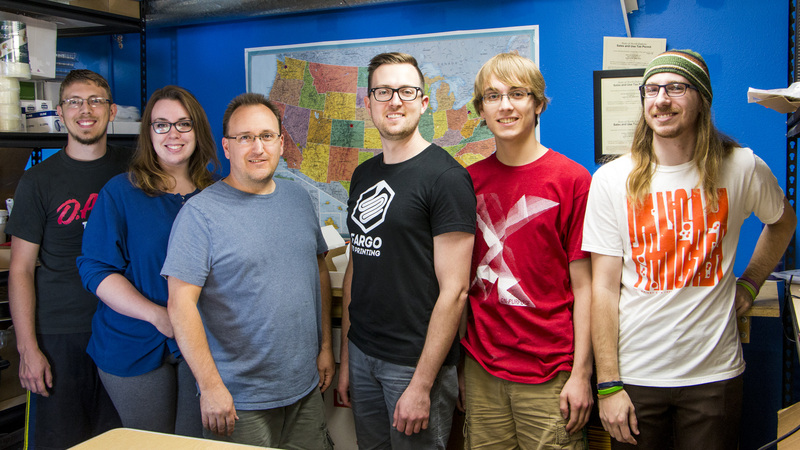 We are locally owned and operated in Fargo, ND with over 4 years and thousands of hours of 3D printing experience. Fargo 3D Printing offers on-site training for your office, home, or classroom. We are the regional 3D printing experts. Fargo 3D Printing is owned and operated by two individuals passionate about 3D printing and design: Jake Clark and John Schneider. John is a co-founder of Fargo 3D Printing. He is a 2012 graduate of NDSU where he studied marketing and web design. John is a geek at heart and has been closely following the 3D printing industry for the past few years. He has experience with multiple 3D printing technologies and philosophies, including open-sourced RepRap printers and closed-source, easy-to-use 3D printers such as the MakerBot Replicator. John believes that 3D printing will change the way the world works. 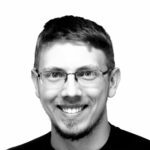 Jake is a co-founder of Fargo 3D Printing and a 2013 graduate of M State where he studied mechanical drafting and design. He previously worked at Alderon Industries as a product designer. 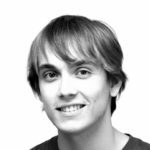 Jake founded Tovek Drive Systems in July of 2013 which eventually transitioned into Fargo 3D Printing. In his spare time Jake enjoys coin collecting, swing dancing, and playing the piano. He is also a HUGE Star Wars fan! Jake has over 8 years of design experience using Autodesk Inventor, AutoCad, and Showcase. He has been using MakerBot 3D printers for 3 years and has recently started working with the entire 3D Systems line. 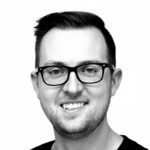 With a strong background in manufacturing, Jake understands how 3D printing can fit in with the workflow of engineers, designers, educators, and inventors. 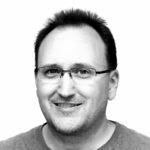 Todd Atchison is Fargo 3D Printing’s graphic designer. In his free time he enjoys riding dirt bikes and is a mentor for youth robotics teams. He has a wife Sarah and two children, Erik and Alex. Todd is a life-long Moorhead, MN resident. 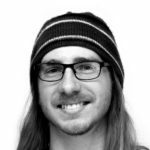 Eric is Fargo 3D Printing’s multimedia guru and is a 2013 graduate of Minnesota State University Moorhead where he studied graphic communications and Spanish. He also works for Moorhead Community Access Media. Eric likes skateboarding, live music and eating 1/2 off appetizers with friends. Since 2006, he has also been a volunteer DJ at KNDS 96.3 FM in Fargo. Sarah handles Fargo 3D Printing’s public relations and marketing. She is a graduate of Minnesota State University Moorhead. Erik is a 3D modeler extraordinaire! If you’ve used any of our spare parts, odds are good the Erik has had a masterful hand in their design or in their manufacture.